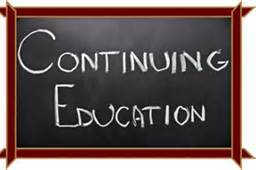 Courses for the state mandated continuing education requirements are offered as self study and classroom programs. Self studay programs are available anytime and can be completed in the convenience of your home or office. Classroom programs are available on a periodic basis at various locations throughout the state. The single day classroom program meets the required hours for a license renewal.